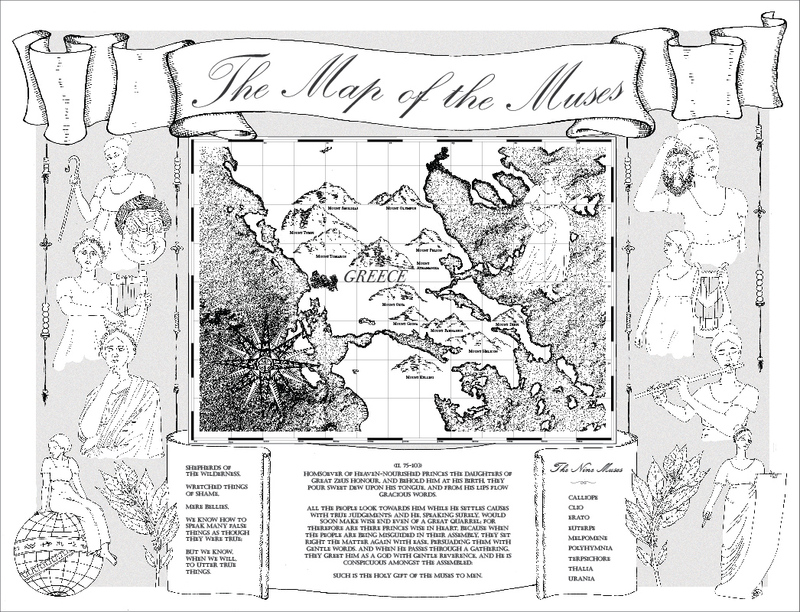 Where Have All the Voices Gone explores the history of muses, daemons and inspirations dating back to Classical Greek and Roman times. 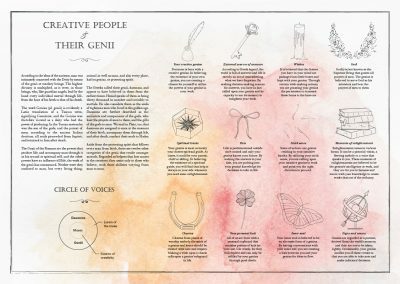 This pantheon of voices was once considered a gift bestowed upon all people and was often linked to a divine and universal source of creativity. 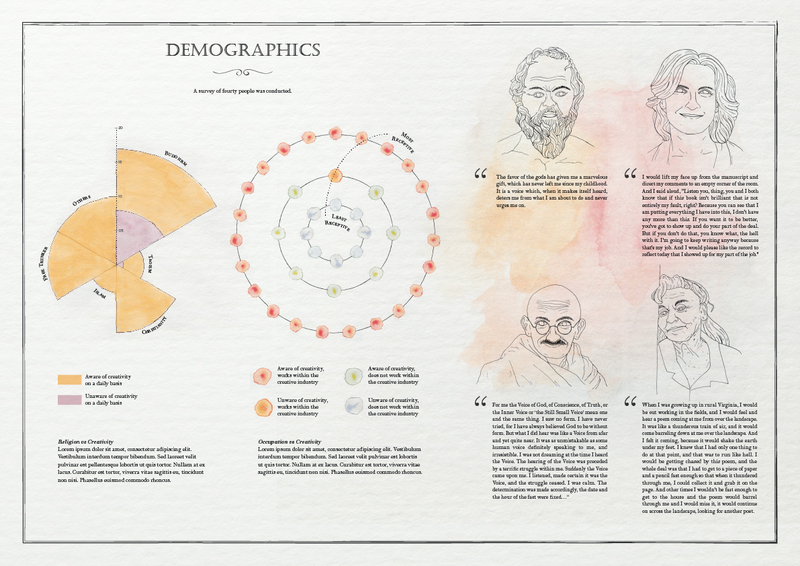 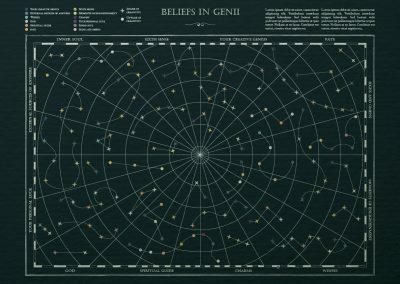 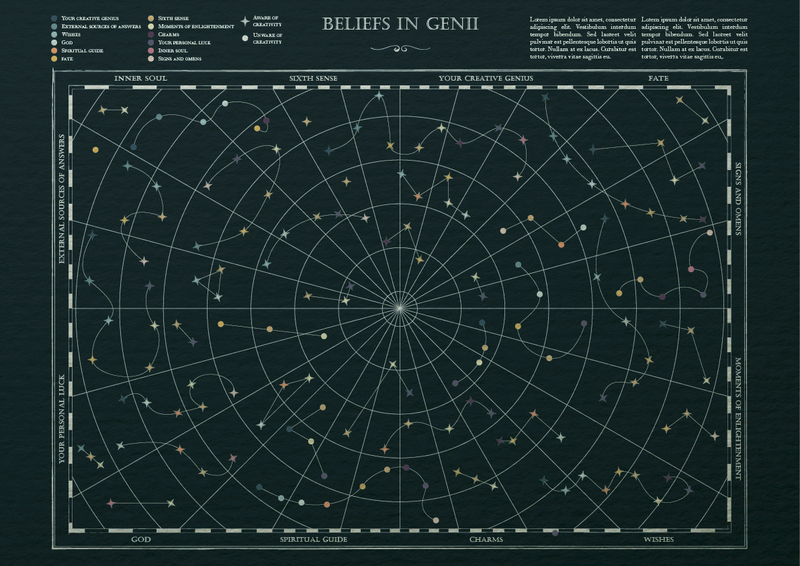 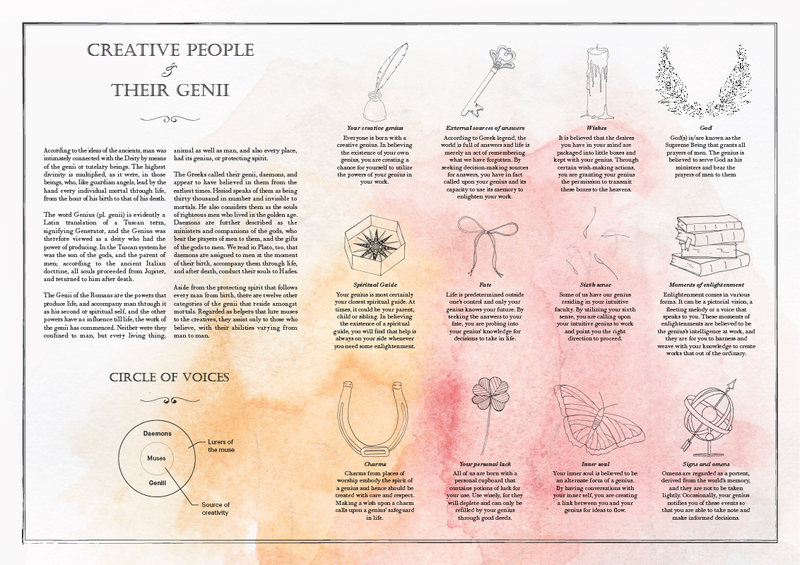 Through a series of maps, info-graphics and a publication, this FYP will share stories and visualize the magical realm of these voices with the hope of inspiring wonder and delight, and possibly even a space for my audience to conjure up their muse.